You will have your friends in stitches when you turn up as an all american snack in a Get Real Cheeseburger Fancy Dress Costume. 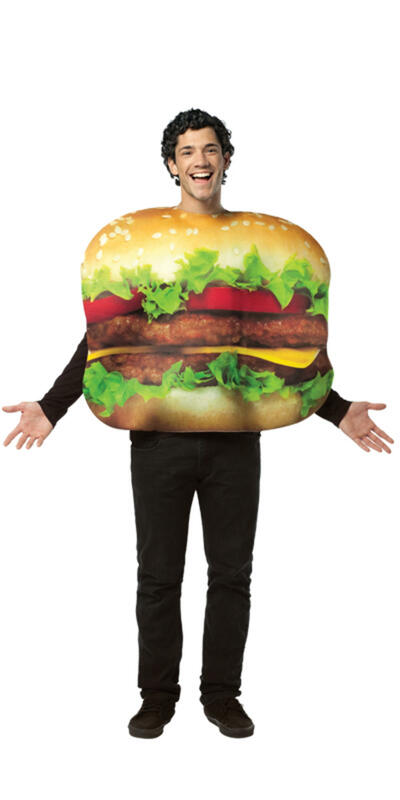 The food costume features a burger shaped bodysuit which fits over the head and has a burger filling created from realistic looking foam and material creating the burgers, tomato, lettuce and cheese! A fun fancy dress costume to get you ready for a food themed event or a national dress party!